Ticket for entry to Waterfalls Nature Trail Walk. 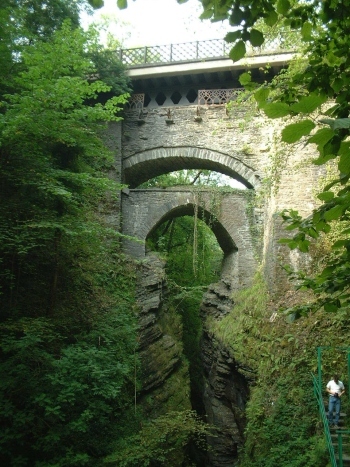 Circular walk with views of 300ft waterfall. Duration between 45 minutes and 1 hour. Many steep uneven steps. Not suitable for pushchairs or for those with walking difficulties. Please wear sensible shoes. Please check your ticket confirmation details carefully. It is not necessary to print your ticket if you don't have access to a printer. Showing your mobile phone or quoting your booking reference and name as confirmation is adequate. Devil's Bridge Falls will not be liable for any ticket that has been lost or stolen after it has been printed by the customer. However with proof of purchase we will endeavour to admit the customer without the printed ticket. If this is a personal purchase and you are a UK taxpayer*, Devils Bridge Waterfalls can increase the value of your purchase without costing you a penny. If you tick the 'Reclaim Gift Aid' box and fill in your full name and home address details, Devils Bridge Waterfalls will be able to claim at least 25% extra from the Government on top of your purchase made through Visit Mid Wales. 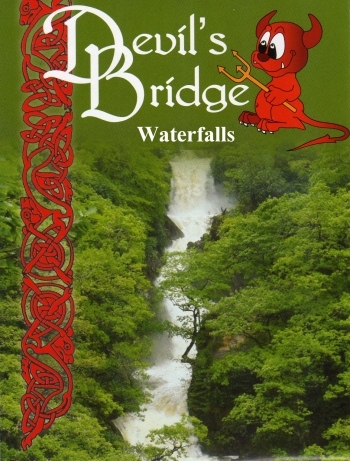 Your name and address will be forwarded to Devils Bridge Waterfalls in this case to allow them to claim the Gift Aid. *You must have paid UK tax this year at least equal to the 25% Devils Bridge Waterfalls will claim.